Mary D. Pretlow | Anchor Branch Library | Norfolk | Virginia | Midlantic Sales Group, Inc.
Decoustics offers a wide range of acoustical fabric products that provide superior noise absorption with customization possibilities, as well as a vast array of fabric colors, patterns and textures. All fabrics are tested for durability and acoustical transparency to ensure required NRC levels and they also meet Class A Fire Rating. 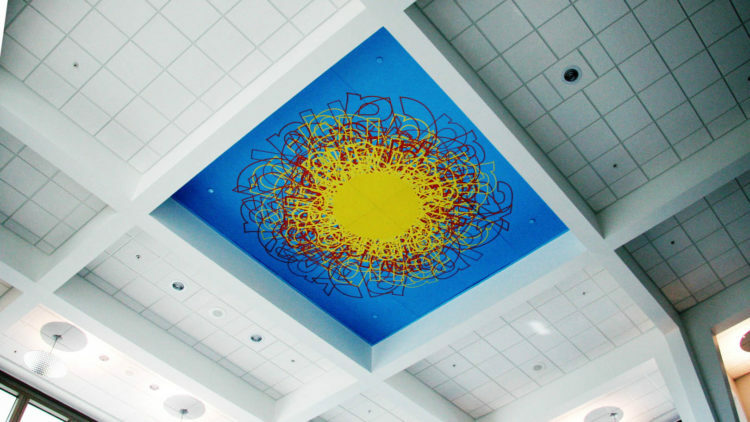 For this project a standard 2’ x 2’ Tegular ceiling tile in a standard 15/16” suspension system was utilized throughout the bulk of the ceiling area to achieve the necessary sound control. 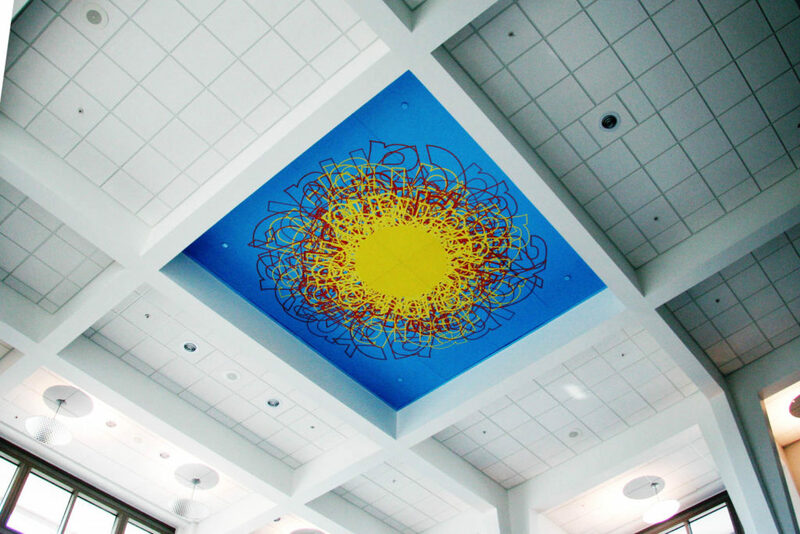 The addition of the Decoustics fabric acoustical ceiling in the center maintains and compliments the sound absorption quality of the ceiling system while adding a boisterous and unique image to the quiet space. A wide range of geometrical shapes, curved shapes, and also dome, cone and vault shapes are available. With a maximum width of 48” (1.22m) and length of 120” (3.05m), custom sizes may be available depending on project scope and design criteria. Panels have a medium density fiberglass core. Thickness varies by panel type: ½” (13mm), ¾” (19mm), 1” (25mm), 1 ½” (38mm) and 2” (50mm).